2018 is here. It’s time to get productive! This office space makes me green with envy. 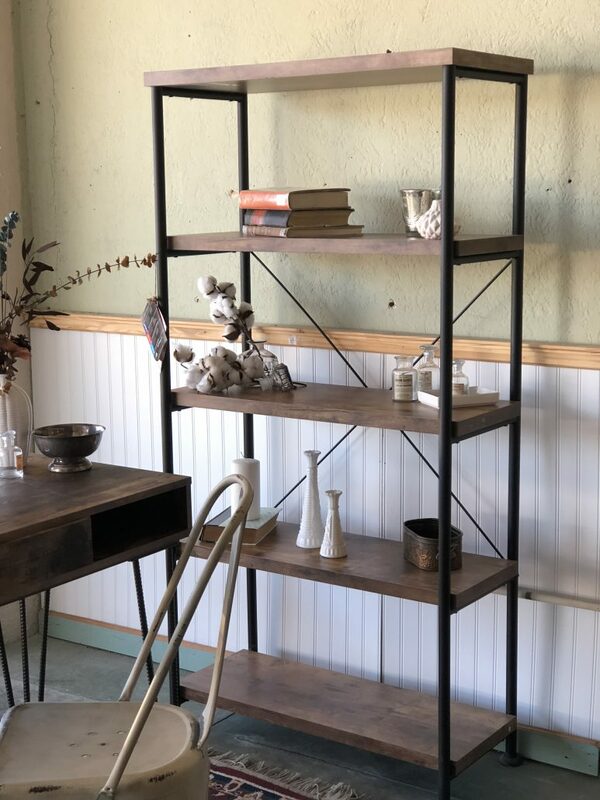 I absolutely love all of the industrial iron accents with the modern wood style. 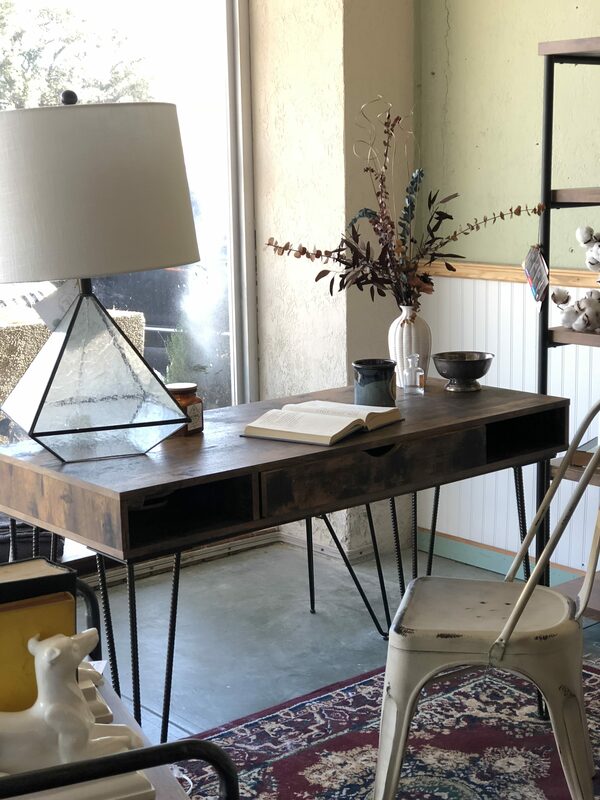 The desk is the perfect size for a small space, and features a small amount of storage. 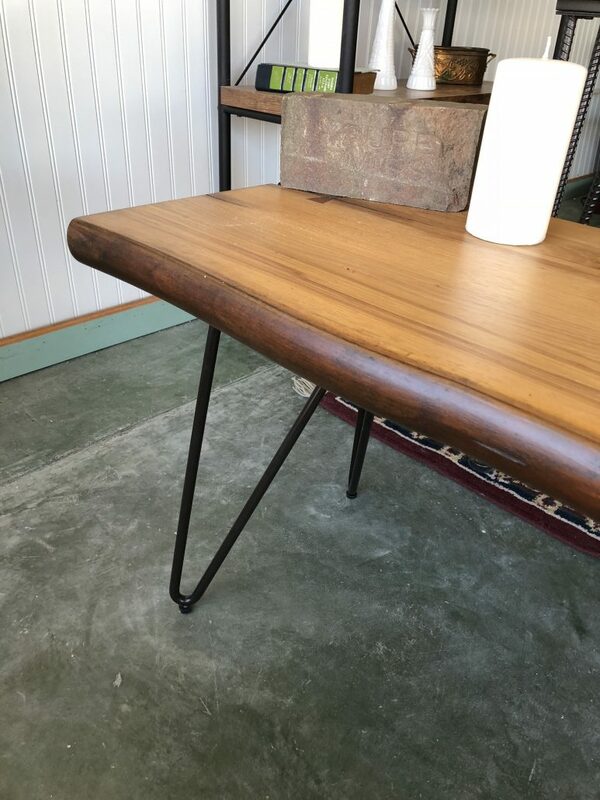 The hairpin legs on the desk and the bench give everything such a minimal, cool look. The shelving allows for plenty of storage and display for all your favorite knick-knacks. Stop by today and check out our featured room! Contact us for pricing or any questions. 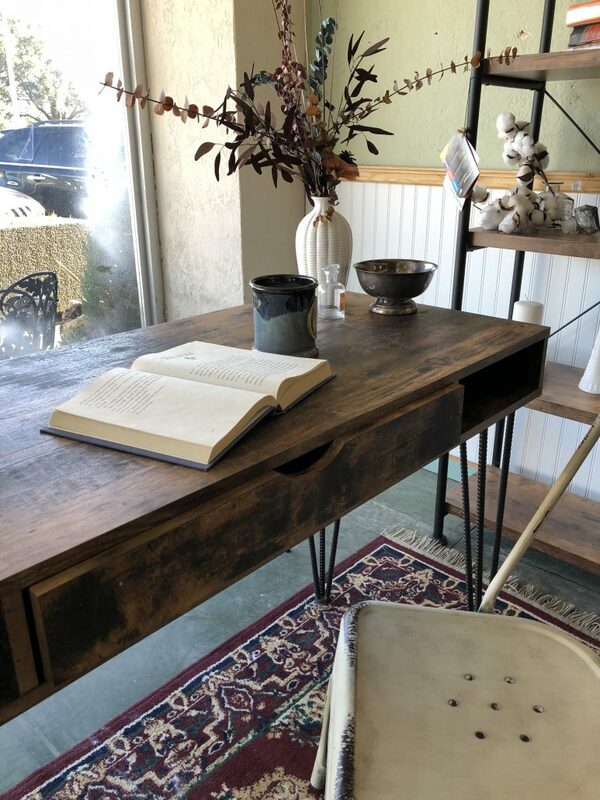 We love this writing desk! It's just the thing you need to get productive this New Year. 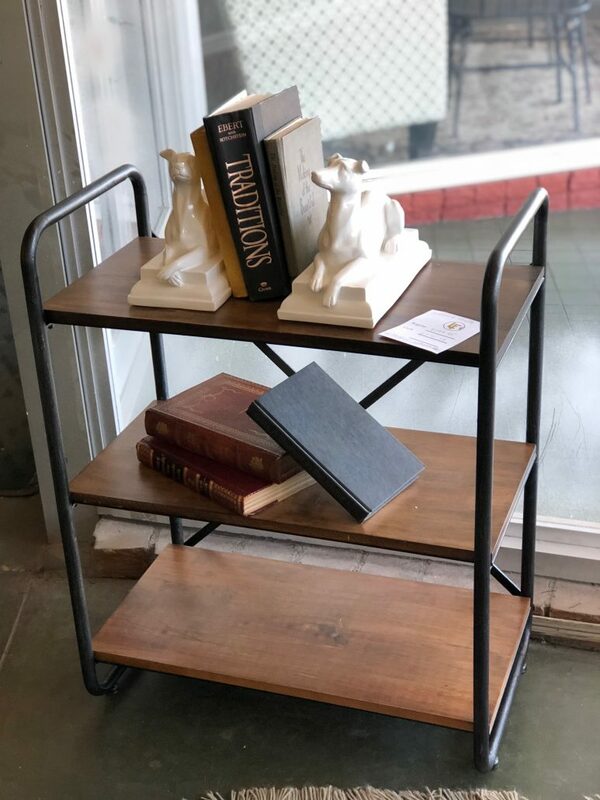 This industrial mixed metal/wood bookcase is trendy, and functional! Show off your smarts (your books) and your knick-knacks here. This tiny, 3-tier bookcase is perfect for a little extra storage in a tight space! This is one of our favorites! This honey pine bench is the most beautiful details like hairpin legs and bowtie inlays in the wood grain.